The new Honda Pilot SUV offers three rows of seating and available all-wheel drive, and it's available now at Apple Tree Honda near Hendersonville. In addition, all Honda Pilot configurations offer the power of a V6 engine. 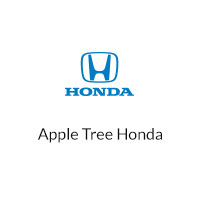 Experience the Apple Tree Advantage when you see which efficient Honda Pilot model is right for you! Why Shop for a New Honda Pilot for Sale at Apple Tree Honda? An interior Edmunds calls "versatile" and "roomy"
Want to learn more about this competitive Honda SUV? Find out why Car and Driver says the Honda Pilot "looks tougher and drives better" by taking it for a test drive.